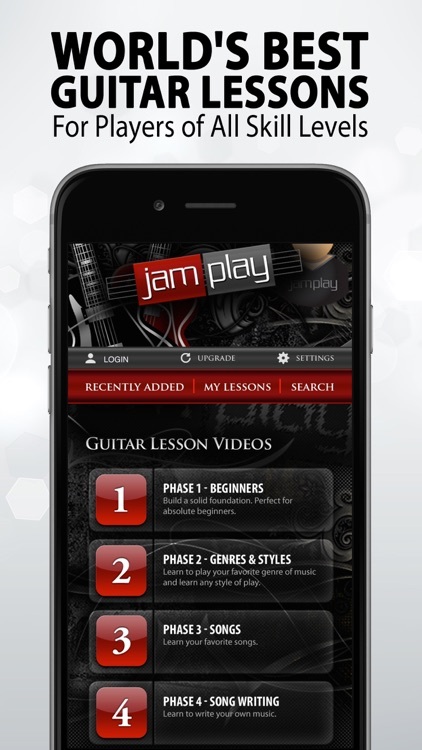 JamPlay is another app that has its roots online as a place to view online video guitar lessons along with other interactive learning tools. This app is their downsized portable version that allows players to take many of those features on the go. 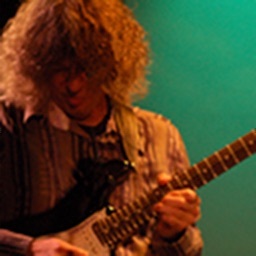 There is certainly a lot of information and material to comb through with over a hundred videos that include a riff and lick library, an exercise library and some random performance bits that are merely there for entertainment purposes. Also included is a chord and scale library along with a sizable collection of jam tracks for the aspiring musician to play along with, which is quite valuable for those of us who may not have other musicians to jam with on a regular basis. Add to all this, a metronome and a guitar tuner and you have a pretty thick package of material to keep you busy for quite a while. My only complaint about this app is that the presentation does little to guide you. It's clearly meant to be for those of us wanting to learn, however, there doesn't seem to be any rhyme or reason to the layout. Instead it's just a mish-mash of a lot of different material that's all categorized but without any real guidance as to who or what kind of player might benefit from it, leaving the user to sift through the various materials to find what appeals to them and their playing level. 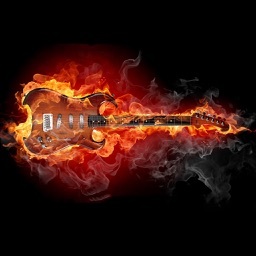 I suppose this is no different than Guitar Worlds Lick of the day app but that app clearly states what it is. With this large collection of tutorial videos perhaps I was expecting a more linear approach to the order that the lessons are presented. When all is said and done though, this app does contain a lot of good information. More importantly, it contains some pretty valuable tools that I feel most players will be able to take something away from. 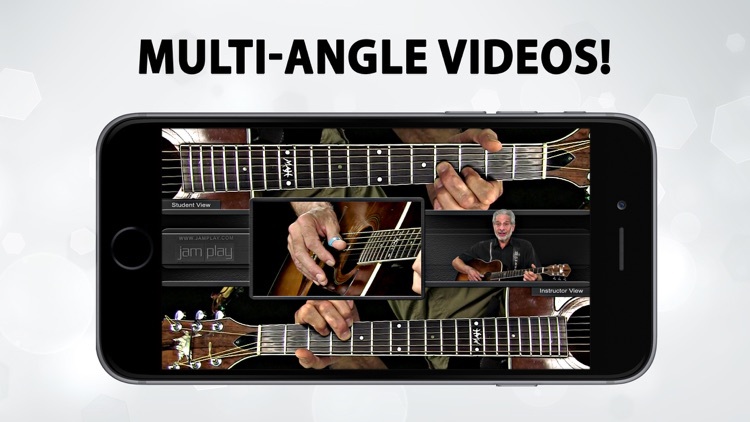 This FREE app from JamPlay will improve your guitar playing, guaranteed! 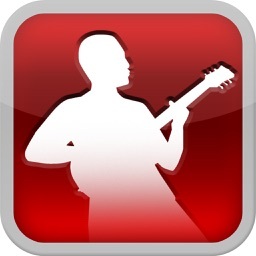 Download now & get access to guitar lesson videos, scales, chords, backing tracks, a metronome, and a tuner! It doesn't matter if you play acoustic guitar, electric guitar, are a beginner guitarist or advanced player...this app will help improve your playing. Check the reviews and see what others are saying. This is a must-have app! Over 345,000 users can't be wrong! * Beginner Lessons: Hundreds of lessons for absolute beginners. 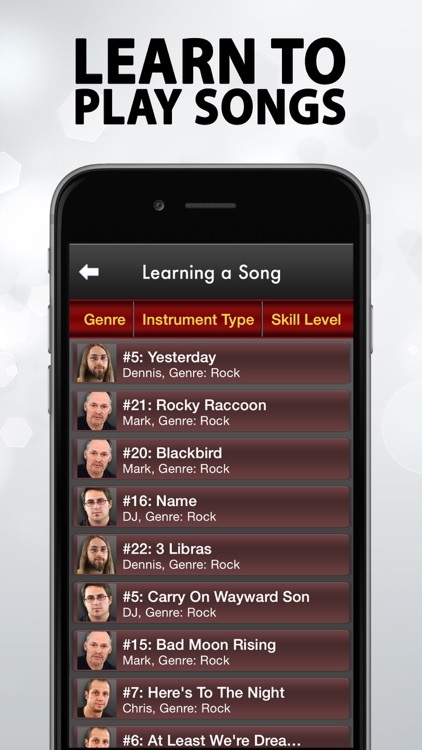 * Genre Lessons: Learn to play your favorite style/genre of music. 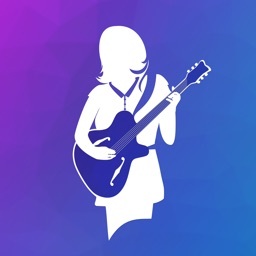 * Song Lessons: We offer lessons for hundreds of the most popular songs. * Exercise & Lick Libraries: Take advantage of these libraries to improve your chord strumming and scales. 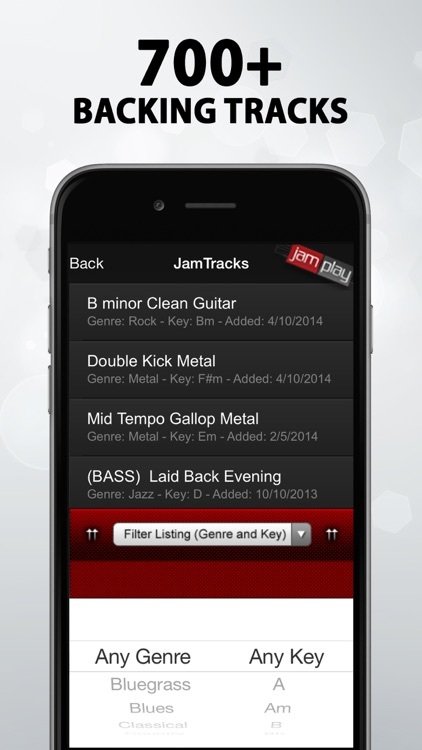 * Backing Tracks: Hundreds of exclusive backing tracks for you to jam with. * Free Content Updates: New lessons & tracks are added frequently. No app updates required. No extra fees. * Tuner: Your built-in microphone turns your device into a tuner. 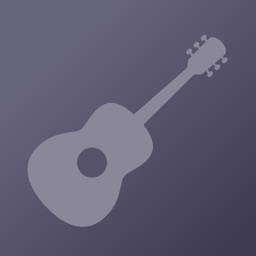 * Chord Library: Thousands of chord voicings with audio playback. 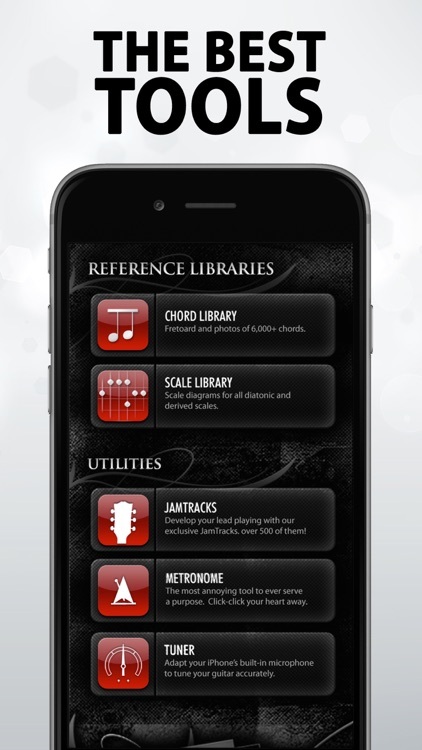 * Scale Library: Dozens of scales; each in all 12 keys with audio playback.